What's next for the Nexus range? An internal video is doing the rounds at Google, showing off the new devices which will be announced at its New York event on October 29. 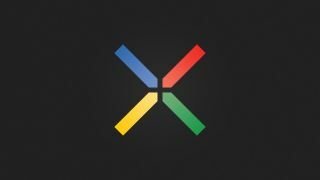 According to a TheNextWeb source familiar with Google's plans, the video highlights the LG Nexus 4, new Nexus 7 tablets plus a Samsung-built 10-inch Nexus slate. The source claims that the rumours we've heard about a 32GB and 3G variant of the Google Nexus 7 are both correct – with the HSPA+ supported tablet also sporting 32GB of internal storage. Apparently the video also confirmed a 10-inch tablet, which is supposedly made by Samsung and codenamed Mantra, but it expected to launch under the moniker Google Nexus 10. The Mantra tablet runs Android 4.2 and packs a 16:10 screen with a 2560 x 1600 resolution and 300ppi pixel density – which would be better than the 264ppi offering on the new iPad. Last, but not least, the LG Nexus 4 is expected to make an appearance on October 29, and this 1.5Ghz quad-core smartphone also featured in the report, with a 4.7-inch display, 2GB if RAM, 16GB internal storage, 8MP rear camera and running Android 4.2. Going by all the rumours, all these products could well appear on stage next Monday. TechRadar will be reporting live from the event, so stay tuned for all the latest from the world of Google.